Author Harriet Robinson (1825-1911), born Harriet Jane Hanson in Boston, offers a first person account of her life as a factory girl in Lowell, Massachusetts in this 1898 work. 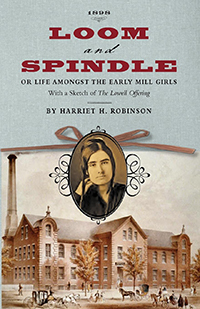 Robinson moved with her widowed mother and three siblings to Lowell as the cotton industry was booming, and began working as a bobbin duffer at the age of ten for $2 a week. Her reflections of the life, some 60 years later, are unfailingly upbeat. She was educated, in public school, by private lesson, and in church. The community was tightly knit. 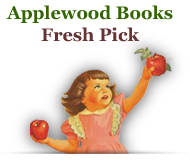 She also had the opportunity to write poetry and prose for the factory girls' literary magazine The Lowell Offering. 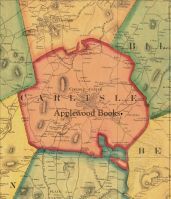 When mill girls returned to their rural family homes, she says, "...instead of being looked down upon as 'factory girls,' they were more often welcomed as coming from the metropolis, bringing new fashions, new books, and new ideas with them."